In an age where connecting with your audience is key, Snapchat redefines the brand-consumer connection through rich, unique brand experiences. Feeling connected to a brand can stem from many things, but fostering that connection is what brands can and should control. Snapchat serves as the perfect vehicle for doing this, offering the chance to connect with an audience on a more personal level by providing engaging, in-the-moment content. What was once a silly app teens used to send disappearing photos has boomed into a revenue-boosting, relationship-building machine that brands have made an integral part of their social strategy. Launched in 2011 by three Stanford students, Snapchat (initially named ‘Picaboo’) went from around 1,000 users at the end of that year to currently having more than 158 million daily active users. The app allows you to take a photo or video and send it to certain friends or your entire list of friends with the tap of a finger - but these images and videos only last up to 10 seconds and then disappear (unless the person receiving it takes a screenshot or replays it up to one time). Over the six years or so since the app launched, new features have been added like direct messaging, the ability to screenshot or replay a photo/video, the Discover feed highlighting news and lifestyle publications, stickers, timestamps, a temperature gauge, and more recently - ads, lenses (think dog filter) and geofilters (location stamps). Snap, Inc. has even come out with their newest product, called Spectacles, which are glasses with a built-in camera (the same concept as mounting a GoPro to your head), allowing users to take their videos and photos to the next level. 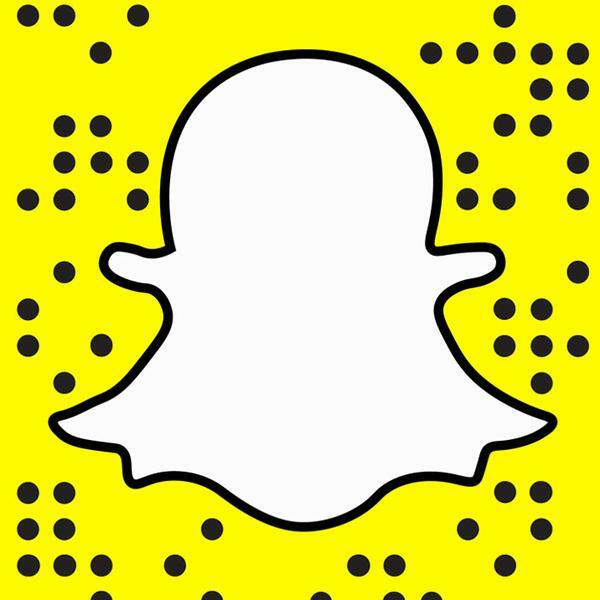 Let’s take a deeper look at why businesses should leverage Snapchat and incorporate the platform into their social media routine. More than ever before, brands are able to build relationships with their followers through social media. These types of connections create brand loyalty, motivate purchase behavior and spark conversation. Whether it’s posting a 10-second video expressing appreciation for its customers or showing them a tour of their office, these small and simple acts on the brand’s part can make a lasting impression on the customer’s part. People feel connected to brands that they trust, admire and feel like they’re a part of. Gone are the days of traditional marketing where brands would put out a message and hope for the best; nowadays consumers are keen on interacting with brands and having their opinions heard. In turn, brands are able to respond to feedback quickly and adjust their messages accordingly, allowing them to understand their customers like never before. Snapchat is a unique platform that brands can utilize to invite their ‘friends’ or followers in. Snap users tend to be genuinely interested in following other accounts’ day-to-day activities and appreciate the exclusive feel that the platform gives. Whether you’re a large corporation, small local business, influencer or anything in between, Snapchat can be utilized for any goal and audience. Your content and post style should cater to your following and should keep your goals in mind. While this article focuses on organic ways to leverage Snapchat, it’s important to note that brands can also capture larger audiences through ads, sponsored geofilters and sponsored lenses. You can can read more about these types of paid advertising campaign on Snapchat. Let’s take a look at some Snap-savvy brands who are utilizing the platform in extraordinary ways. Taco Bell (@tacobell) - This fast-food chain is sure to keep tacos on your brain. Taco Bell is great at promoting new menu items, contests and interactive series (like their Taco Bell Menu hacks where followers can recreate their favorite Taco Bell menu items). They do an excellent job of encouraging engagement through fun and witty snap stories, all while making your mouth water. They created a custom lens on Cinco de Mayo 2016 that turned users’ heads into tacos. This sponsored lens reached 48 million Snapchat users and was shared by 49% of them. Taco Bell’s innovative campaigns (both organic and paid) have made them one of the top brands to follow on Snapchat. SoulCycle (@soulcycle) - SoulCycle has grown in popularity over the past few years, amassing into a movement and culture. SoulCycle’s Snapchat offers access to special rides, shows users behind-the-scenes activities and focuses on inspiring its followers to make them feel like they’re part of their team. They’ve created a community among their riders, motivating them to share their Soul stories and connect with other riders in their community. Campaigns like “Army of Love” express to its following that SoulCycle is about riding hard but loving harder. The following image shows the end result of a day full of snaps documenting the SoulCycle team putting together this wall of polaroids from their fellow cyclists. NASA (@nasa) - You don’t have to be a space nerd to appreciate NASA’s Snap stories. NASA focuses its snaps on education, showing followers new innovations and technology at the space center and giving them the inside look into current projects and missions. They interview NASA engineers and employees to simplify complicated space concepts and facilitate a deeper understanding of space, not to mention the inspirational astronauts and engineers behind it all. NASA is able to peak users’ interest by providing insightful, interesting and mind-blowing content. To capture that energy, Bloomingdale’s team produces a variety of curated snaps, from stop-motion animation to using color themes in quirky ways and showcasing limited edition items. Through these bright and playful snaps, its fashion-forward followers not only get sneak peeks of upcoming collections, but are able to relate to the brand’s energy and vibe. In an age of media-overload, Bloomingdale’s breaks through the noise by focusing on authentic, high-quality photos and videos customized for its Snapchat following. Red Bull (@redbull) - The Red Bull lifestyle is daring, adventurous and always full of action. This energy drink has transformed its brand into a way of life that snowboarders, surfers, BMX riders and anyone with a thirst for adventure seek to live by. Red Bull utilizes Snapchat to bring followers along for the ride and make them feel like they’re truly in on the action. One way they do this is by hosting takeovers, which allows fans to follow their favorite Red Bull athletes around on a typical day. Check out this takeover by Mark McMorris, professional snowboarder and X-Games gold medalist, as he cruises to the beach with friends and hits the slopes at Big Bear, all in the same day. By having big name athletes take over, Red Bull builds upon its ‘cool’ factor by promoting the brand’s lifestyle in a unique and relatable way. Snapchat offers brands the opportunity to let its followers in and lets them connect on a whole new level. Everything from corporations to local boutiques have harnessed the power of Snapchat to make their customers feel valued and like they’re in on the action. Depending on its goals and the type of business it is, brands can leverage Snapchat in many ways and experiment with what types of content work best for them. Building your brand’s Snapchat presence can’t be done with the snap of a finger. But with the snap of a photo? You’re off to a great start. Published on April 27, 2017 .